In stock. Order in the next 11 hours, 11 minutes and it will go out today! The magician takes a normal coin and an empty bottle. He requests a spectator who takes the bottle for inspection. The magician strikes the bottom of the bottle with the coin, and it appears to penetrate through the glass. Afterwards the magician can show that the coin is really inside the bottle. 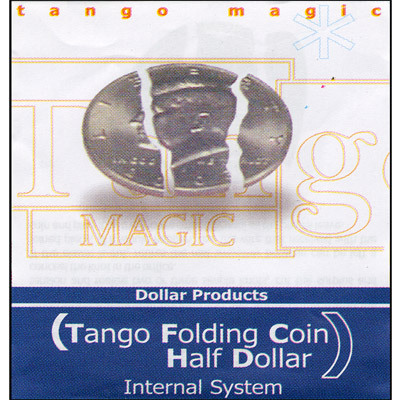 The magician can remove the coin with a wave of the bottle. Immediately the bottle can be given to be examined. This gimmick is a double folder. Notice: This version only has one cut and can be folded in half.